Multi-talented. It’s definitely a word you could use to describe Julie McIsaac. 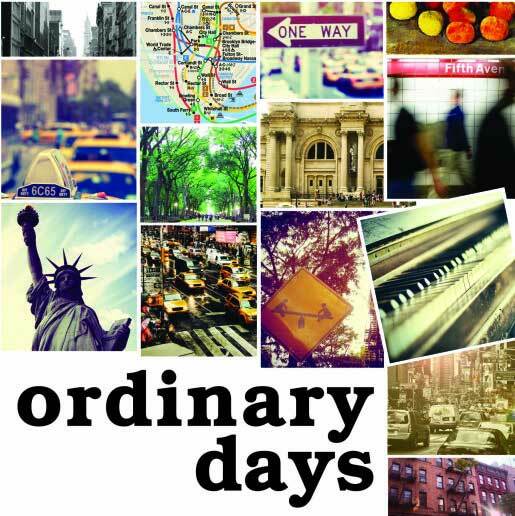 Currently directing Relephant Theatre’s Ordinary Days in Vancouver, she also shares musical direction credit and joins the cast on stage each night, playing the show’s piano accompaniment. 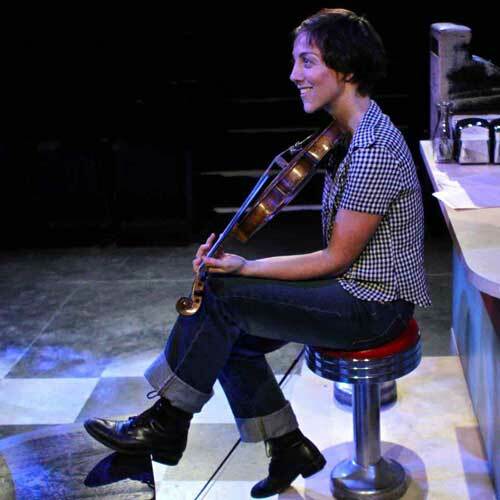 In addition, her talents include playwriting, song writing, singing, and she also plays oboe and violin. 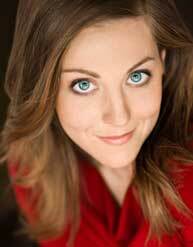 Born and raised in Penetanguishene, Ontario, Julie is a graduate of Carleton University and the Canadian College of Performing Arts. As a performer, her credits include As You Like It (Citadel), The Tempest (Bard on the Beach), Little Women (Chemainus Theatre Festival), Spitfire Grill (Pacific Theatre) and Hamlet (The Honest Fishmongers Equity Co-op) for which she was nominated for a Jessie Richardson Award for her portrayal of Ophelia. She was apprentice director of The Merry Wives of Windsor (Bard on the Beach), and her experience as director includes The Exquisite Hour (Relephant Theatre) and Countryside Christmas (Chemainus Theatre Festival). What got you started on your creative journey? When my siblings and I were young, my mother insisted that we learn a musical instrument. The rule was that we could participate in whichever extra-curricular activities we liked, provided that we also took music lessons. I think we all cycled through piano (which later became my main instrument) but my French-Canadian mother’s father was a fiddler, and I remember receiving a wee 1/4-size violin for Christmas when I was five. Then I took up oboe in high school. My father was a big music fan (to this day, I have yet to meet someone with such broad musical tastes) and we attended all sorts of concerts and events; classical, folk, you name it. Music was a big part of our childhood, and the journey into theatre and writing, seemed to grow out of that. 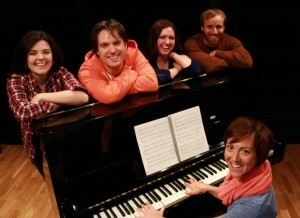 In Ordinary Days you not only direct, you also play piano and share in the show’s musical direction. Tell me about the different creative hats you wear, and how you balance them. Well, it’s definitely a challenge – especially since our rehearsal process was extraordinarily short (from first day to opening night in nine days!) – but on this particular project, working alongside dear, familiar colleagues sure helps. I really trust and respect all those that I’m working with, so although it wasn’t direction-by-committee on all fronts, it was definitely a collaboration. The hardest part was that once we started running the show, I had to get behind the keyboard – which was tough, because I had to relinquish my director’s bird’s-eye-view before I would ordinarily do so. At the same time, my involvement in the show as a musician means that I don’t need to step away from the project now that it’s open, so that’s really nice. As a director, what’s the biggest challenge? Responsibility? Joy? For me, the challenge is the same as it is in everyday life: I want everyone to be happy, all the time. Needless to say, that’s not always the case. The stakes are high, the work requires great focus, courage and vulnerability, and there are nerves, opinions, deadlines, budgetary concerns – all of this can make for a volatile combination. I get anxious when things are tempestuous, even though this can be a natural (and sometimes, very useful) part of the creative process. I want to please people, I’ll admit it. In terms of responsibility, I want to deliver a quality product, definitely. As a director, you are irrevocably focused on the end result, that’s your job. But here’s something I’m beginning to learn: if you maintain the integrity of your process, that is, if, on every rehearsal day, you espouse and celebrate the qualities you wish the end product to have, it will inevitably have these things. For example, if you want the show to be funny, the rehearsal room should be a jolly ol’ romp-fest. And I suppose this is where the joy comes in. I have a TON of fun when I work, particularly when I direct. I feel really free because everything is flowing out of me, I’m sending it out to the other members of the team. I love that it’s not about me – that all the evidence of my work exists outside of me. I find that liberating and joyous, definitely. What is the biggest misconception about directing or directors? That it’s an ego thing, that you do it because you like being the boss, or because you’re a control freak, or because your siblings never let you play the board game you wanted. I’m not saying that I don’t have certain Type-A tendencies (just ask my roommate about my ‘kitchen anxiety’) but in the end, I don’t feel that it’s about me, not at all. There is the piece, and I feel beholden to it and to its creator. There is a truth there, wanting to be brought to light, and I just keep poking about in the dark with my flashlight, until we find a way to fully illuminate the heart and intricacies of each character, and of the story as a whole. And then there are my collaborators, whom I adore. I love artists, and I simply want to help them do their best. Spirited, romantic, strong-hearted, exacting, curious. I have worked alongside some incredible talents, on some wonderful works. And I have been so fortunate that the projects that have come my way have allowed me to explore such a great range, and grow in such a myriad of directions. But I have to say, every time I get a pay cheque, it hits me, hard: I get paid to do this. And I am so grateful that my personal, artistic soul can be so aligned with my professional life. 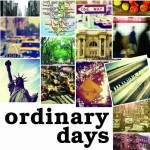 Ordinary Days runs through January 19, 2013 at Carousel Studio, Granville Island (1411 Cartwright Street). Visit the Relephant Theatre website for more information.